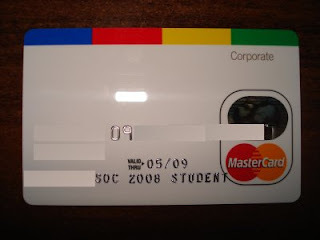 Yesterday I got my GSoC card :) It's really cool, it's Google styled! 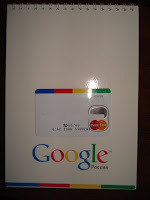 Google, thanks for your GSoC programme! Let's nominate GSoC project and make it win! Don't remember if I have already published the link, but it is worth to be watched multiple times. All updates will be done there! You may find the revision number here. You may have some build problems, which are discussed below. The reason is that there are some svn:externals in the repository. See the end of my previous post. I'll show how I prefer to solve this problem. Ok, we have a repository. The revision I took here. P.S. Don't forget to update your externals. And use fgrep dir_prop ./.git/svn/git-svn/unhandled.log if something missing. P.P.S. Some paths look here bad, strange behavior of blogger (if i type in 1 line they're cutted). — Git is really fast. Even switching mozilla's branches doesn't take a lot (about minute or two on my Celeron 1.6M/1Gb RAM). So you're free to create any number of branches and play with them without problems. — Git is DVCS, it means you have own local repository — you can commit offline. — Merging. I haven't enough experience with it, but it should be ok. Don't worry to work on different things located in the defferent branches: you will not get much conflicts. But working with KDevelop tree I got a little problem with svn:externals. Unfortunately Git doesn't handle it. But you may look on this to solve the problem. Also you may use another method (don't like it and in my case doesn't work). Твой друг помогает надеть броню, ты берёшь своё оружие, не просто оружие, а СВОЁ ОРУЖИЕ, то, которое чувствует тебя и ты чувствуешь его... Ты берёшь оружие, догоняешь патрон в патронник, щёлкаешь предохранителем и выходишь из помещения. И ты не один... С тобой такие же парни, как ты. Те, с кем ты пошёл раз и навсегда выбранной дорогой. Но сейчас это тени с оружием; у каждого мысли о своём: дом, семья, дети... Кто-то думает, а что если... Нет, мы справимся, мы всегда справляемся... Поворот головы направо: такой же человек в броне, видны только глаза... Чёрная маска... Через час он будет с нами или ТАМ? А я? Но приходит время и у всех в глазах загорается огонь... Пора... Момент истины настал. Тени оживают и несут смерть во имя спасения. — Всем подразделениям на исходную! — Смерш 1 на исходной! — Альфа 13 на исходной! Today Russian KDE team had a first KDE4 Translation Day. Now kdeqt (by man with nick snaring) has 24 (before: 479) unstraslated and 47 (81) messages. Statistics for katepart4 is 27 (was 121) and 29 (129). Also we got from Vishnikin Sergei fully translated krunner_bookmarksrunner.po, kcmsmserver.po, rellinks.po, babelfish.po, desktop_kdetoys.po, kcminit.po, plasma_engine_dict.po, konqsidebar_mediaplayer.po, autorefresh.po, krunner_calculatorrunner.po (all them are about 189 entries). It is the first contribution from Vishnikin Sergei, so we happy to congratulate him. Also we hope to get some more translations a bit later. After check-in I will be able to show some graphs, not very exciting, but for first time not too bad. Thanks to everybody for their translations!